Our foundation is built on technology, powered by people. Founded in 2000, Jelecos continues its commitment to deliver value through building long term relationships, producing superior results, and passionately driving innovative solutions. As one of the only service providers in the region with third-party PCI certifications in both infrastructure and application development, we provide end-to-end compliance solutions. 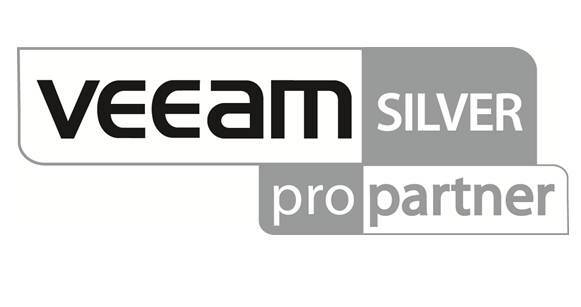 We’ve built a team with the best people, and we invest in the best technology to equip each client for success. Jelecos is a group of technology enthusiasts that gets excited about bringing solutions to our clients. Headquartered in Omaha, NE, we are an industry leader in business technology solutions. Our talented team of developers, engineers, and strategists are recognized as some of the best in their field. Each individual’s skill set contributes to the mission of Jelecos and we believe business comes before technology. Strategic friends are crucial, which is why we pick the cream of the crop. 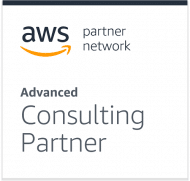 Jelecos is an AWS Advanced Consulting Partner and Channel Reseller. Amazon Web Services (AWS) is a secure cloud services platform, offering compute power, database storage, content delivery and other functionality to help businesses scale and grow. Jelecos is a highly respected leader in delivering value through business technology. We deliver value by building long term relationships, consistently producing superior results, and passionately driving innovative solutions. We believe these three elements are essential to create lasting value for our associates, our clients, our partners and our shareholders. At Jelecos, we recognize your beliefs, your health, and your family are what make you a force of creative and technical talent – ready to enrich our company and delight our customers. So take care of first things first. Then come to work ready to get down to business. Don’t sit on the sidelines. Do something that’s meaningful to you. Something that’s bigger than you. Make our company, our industry, our community better than you found them. Make a difference. We are what we deliver. Be sure you understand what the customer needs and wants. Then blow away those expectations with brilliant customer-focused solutions that make their day, and their business, better than they ever thought possible. Make it fun & make it count. At Jelecos, we know when it’s fun, it’s better. And when you care, it’s better. It’s more creative. More customer-focused. More efficient. More effective. So in all you do, bring passion, smarts, grit, and the audacity to laugh when others would cry. Be open & get on the same page. What matters most is that we communicate openly and honestly. It’s up to each of us to share the knowledge and information we have, and to seek out what we don’t. We won’t always agree, but pulling in the same direction is an essential component of our success. So speak up! Invest & trust in the team. Trust and a common purpose – things that make good teams great. Our teams are strong because they are built with people who know their stuff. Refrain from working in a silo. Bring your experience and knowledge to the table, and know that you can expect the same from the rest of us. Push your limits. Grow & learn. Never stop learning. To stay in the game, you must continue to build skill on top of talent, to test old ideas, and find new answers. Feed your sense of curiosity. Challenge yourself every day to realize your potential. Make decisions & own them. You may not get it right the first time. But the only certain way to get it wrong is to do nothing. Be decisive, move fast and completely own your choices. Then share what you’ve learned, no matter the outcome. Initiate the next great idea. When you get right down to it, it’s all about results. In reality, last week’s results are like last year’s newspaper – nobody remembers the headlines or the box scores. To stay relevant and win long term, we must actively seek out new ways of doing and thinking. Every day. Never stop. Show respect & be real. Be fearless, show respect and be yourself. Make it easy for others to do the same. Bottom line – don’t be a jerk. Founded in 2000 and headquartered in Omaha, NE, Jelecos began with a focus on custom application development and quickly learned business outcomes were dependent upon more than just well-written code. Many companies lacked the infrastructure and expertise to support tightly integrated, secure, and highly scalable applications; Jelecos jumped on this opportunity. Building on application service’s success, Jelecos added Infrastructure-as-a-Service capabilities and began delivering Cloud services in 2003. We introduced The Ability Framework, a proven methodology and collection of best practices, designed to deliver on the value promise of well-planned and well-executed business technology. A new partnership with Scott Data Center in 2014 allowed us to enhance our PCI compliant environment and expand our team. Jelecos has efficiently facilitated transactional processing, providing clients with a readily available PCI compliant environment. Technology may change, but Jelecos’ commitment to deliver value through building long term relationships, producing superior results, and passionately driving innovative solutions will remain.